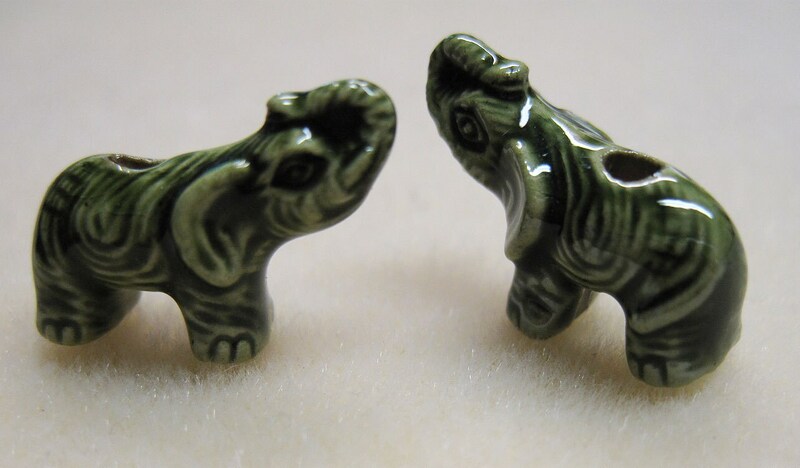 Great detail on these 2 green Peruvian Ceramic elephant beads! They were handmade by Peruvian crafts people. Molds were used to shape the clay, which was fired, painted a solid color and glazed, then fired again for a true ceramic hardness. 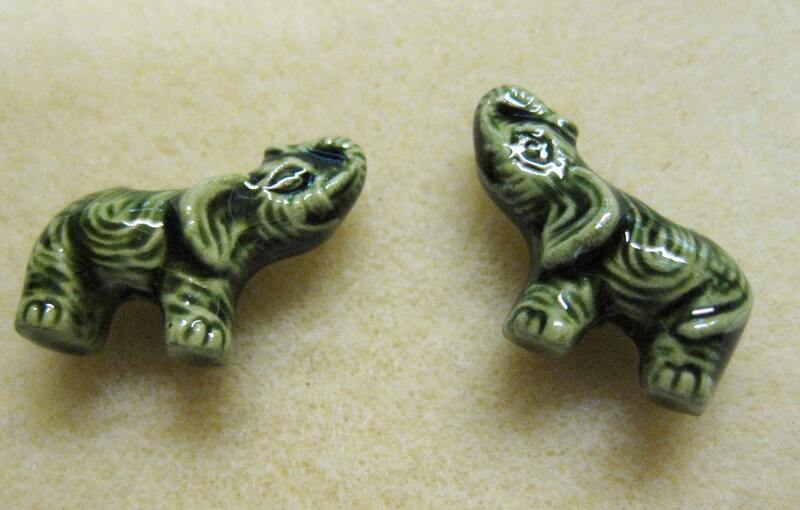 The beads are about 18 mm tall, 10 mm across the front, 25 mm front to back. The holes are about 2 mm in diameter. They run vertically, from the back through the belly. Great size for hemp jewelry and fiber arts - knitting, crochet, weaving, kumihimo & macrame! Do you want more than 2 beads? Contact me for a custom order!